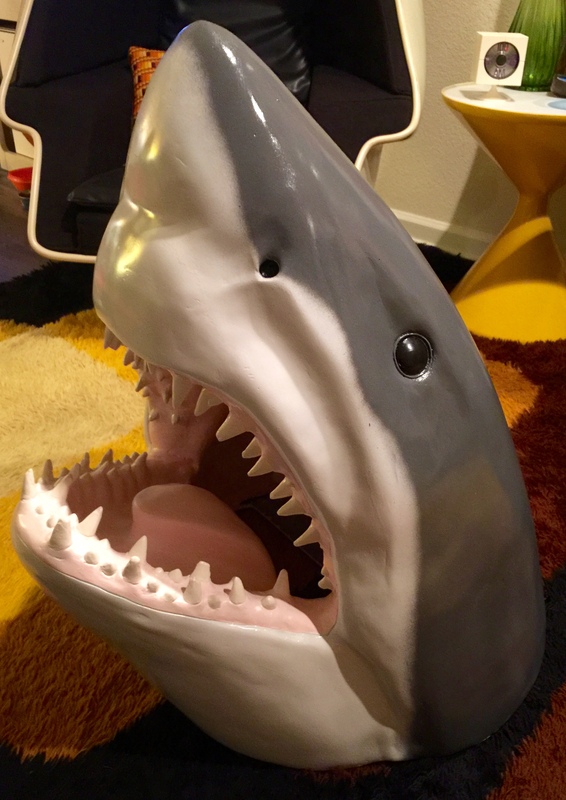 No, this isn’t something out of your nightmares. 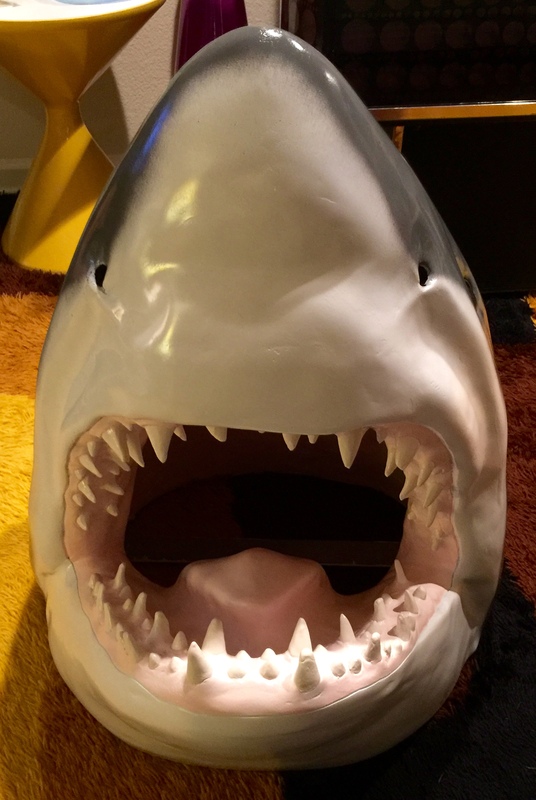 Mel and I purchased this fiberglass shark head from our good friends Donny & Romy Oster. 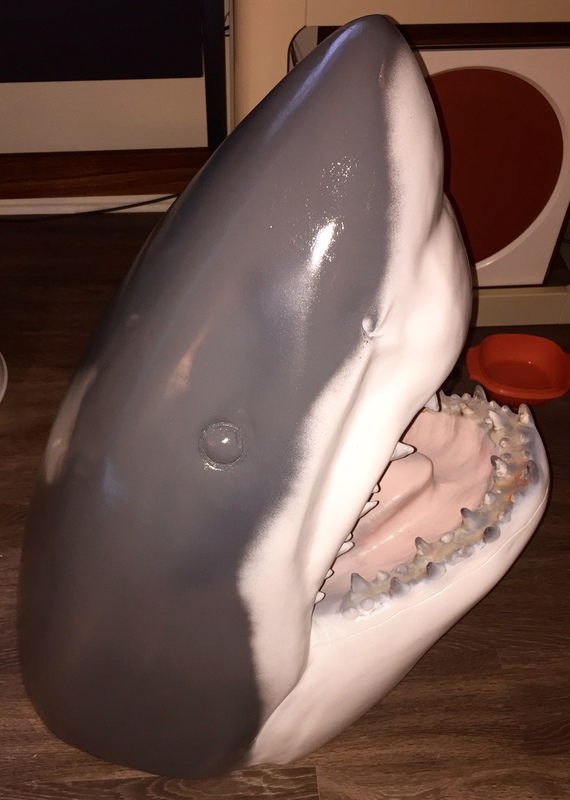 Donny told me this shark has actually tasted blood! 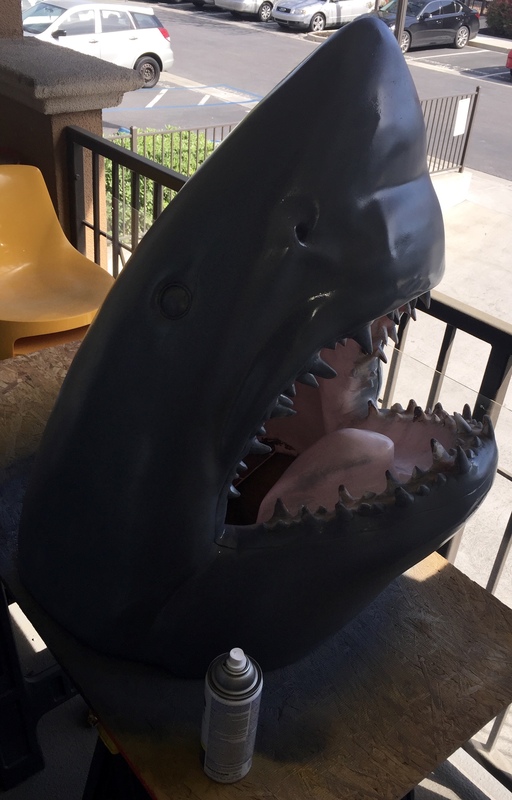 It was installed on the bottom of the deep end of someone’s pool. Donny said a kid dove in and his rear end somehow ended up in the mouth of this shark and he was cut! Donny and Romy are collectors/dealers who are really good at finding unique and strange items. 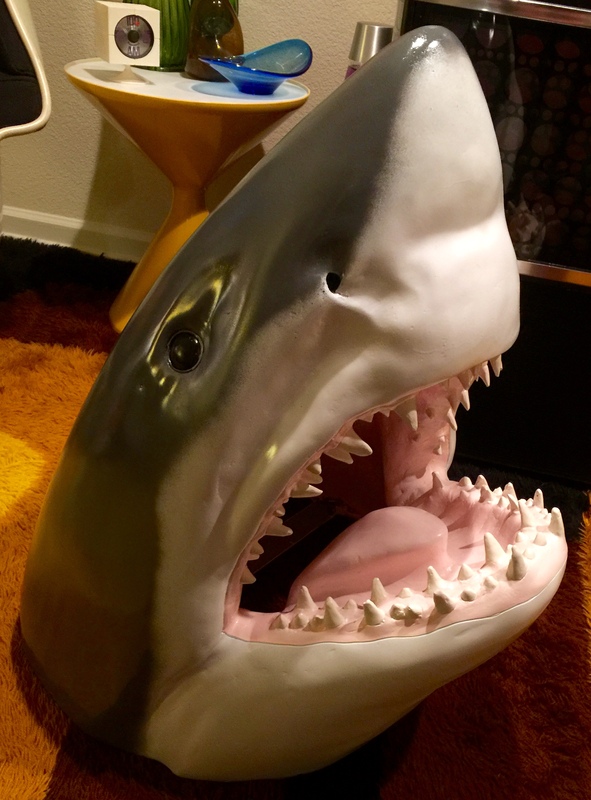 I knew when I saw this shark head that it would look great hanging on the wall in our tiki room. A lot of the teeth tops were busted off and some of the teeth were split. There were also many places where there was damage like this. Upon further examination, it seems that this was assembled in two pieces. The two pieces were starting to separate in numerous places. 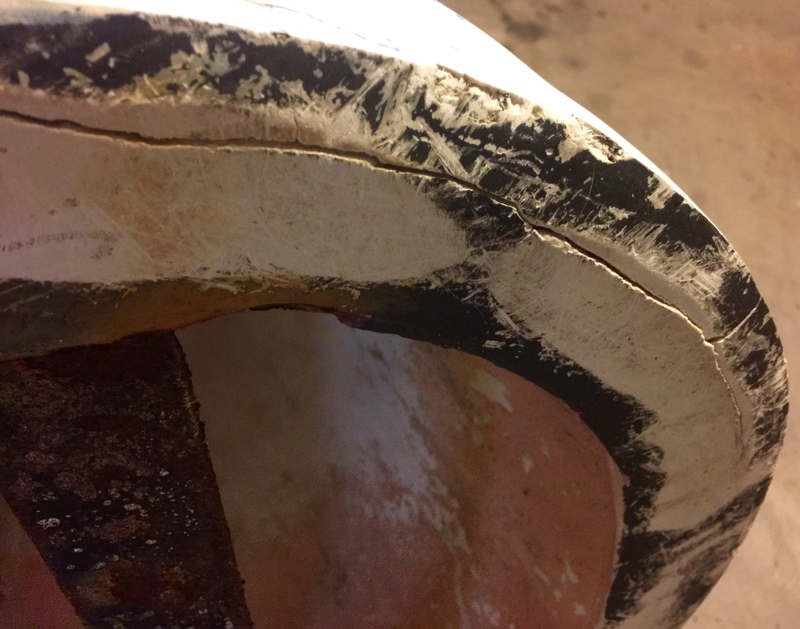 I knew I could fix all the physical issues with JB Weld. I have used this product on many of my restorations. Here you can see that I spread a liberal amount on the separated areas. 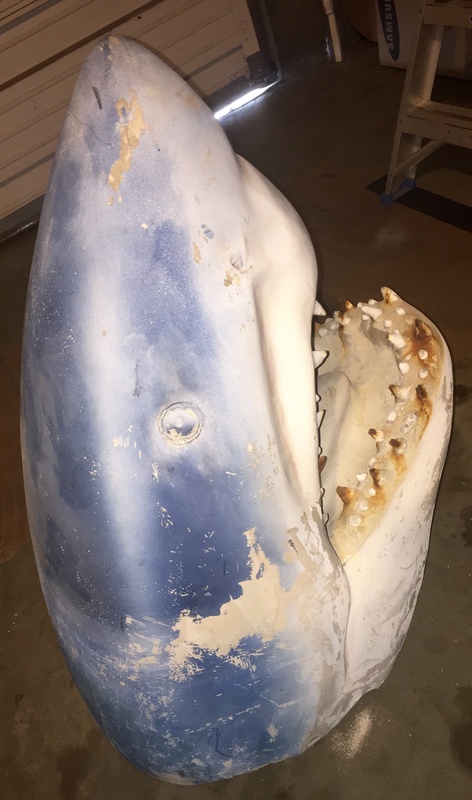 While that was drying, I sanded down the body of the shark. Next, I patched the breakouts on the bottom. 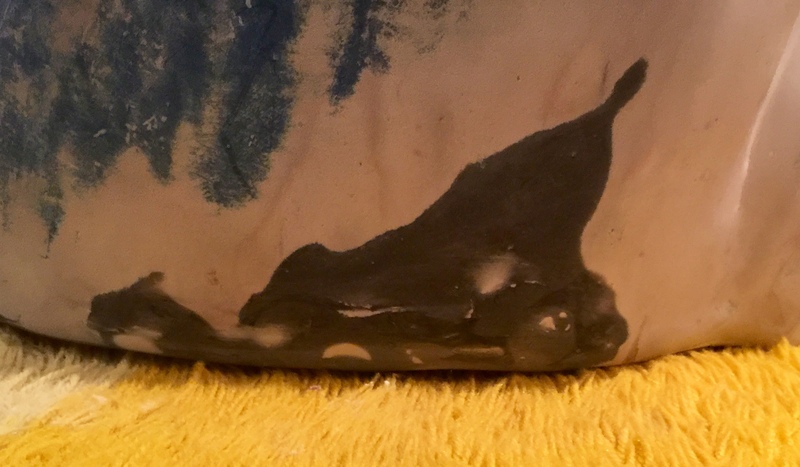 Once filled I sanded away the excess. Next, I had to fix all the messed up teeth. 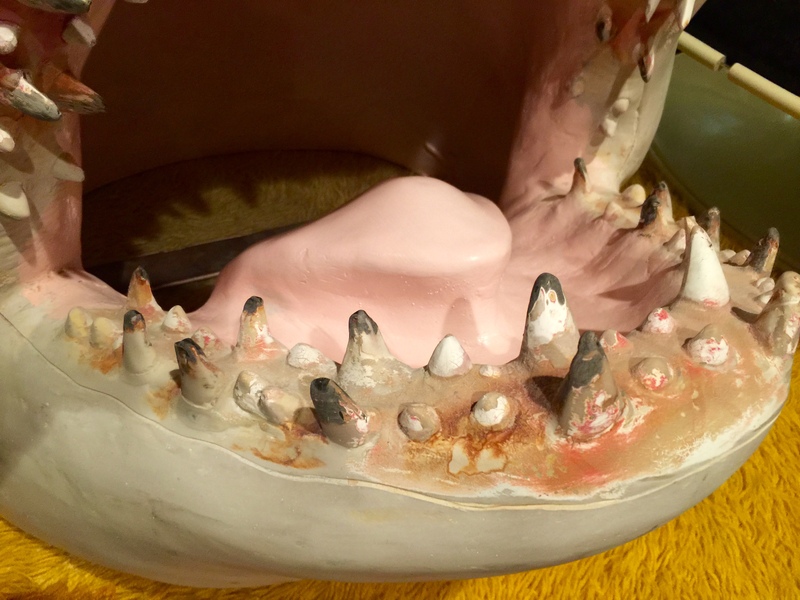 I spread the JB Weld on the busted teeth and once they dried I sanded them into shape. 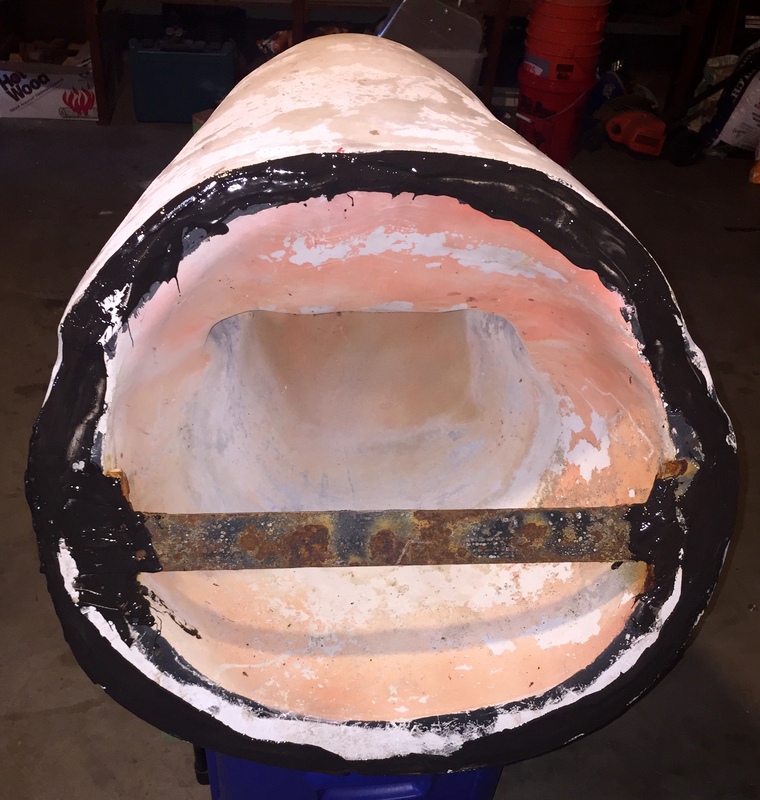 After all the repairs were complete it was time to primer the outside. 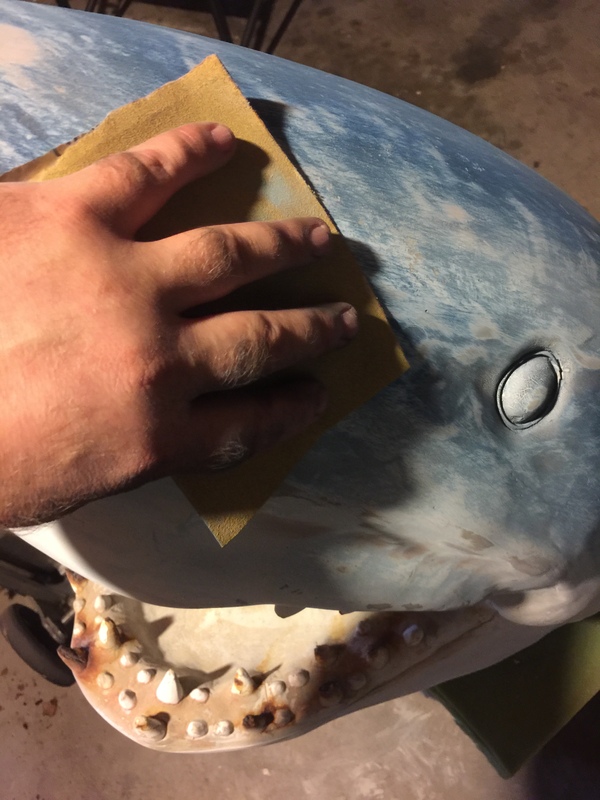 Since I do not have an airbrush, I had to control the stream of the spray paint to create the color scheme for the shark. 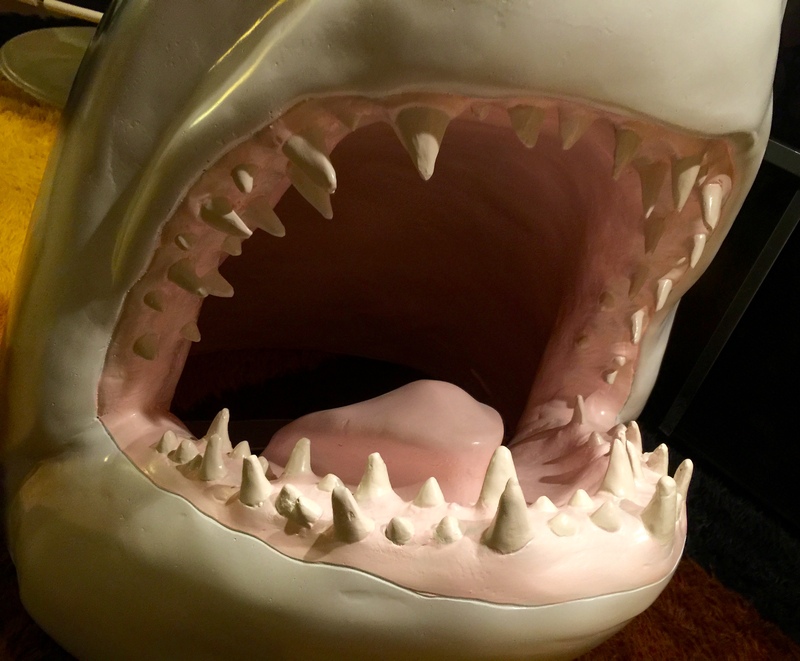 With a lot of time and effort I was able to make the mouth look like new. Once I finished the eyes it brought it all together. We are very pleased with the finished results. It looks so different from where it started. 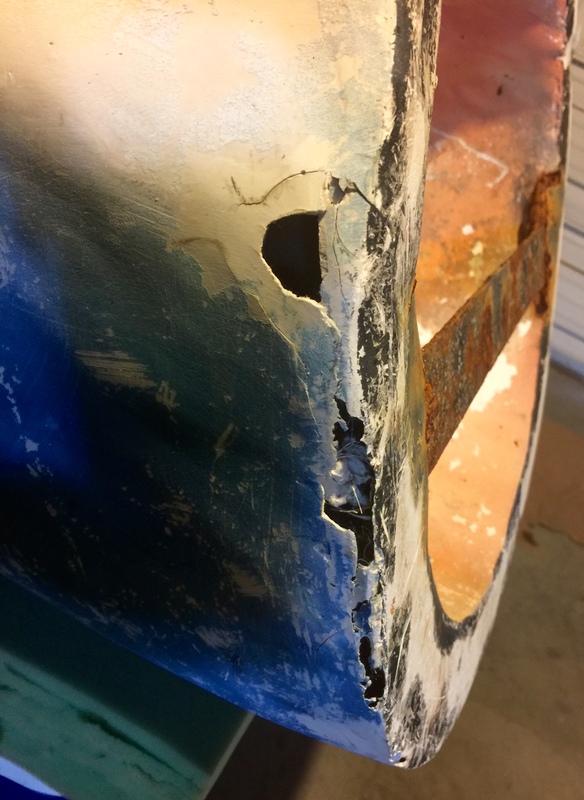 Onto the next restoration! 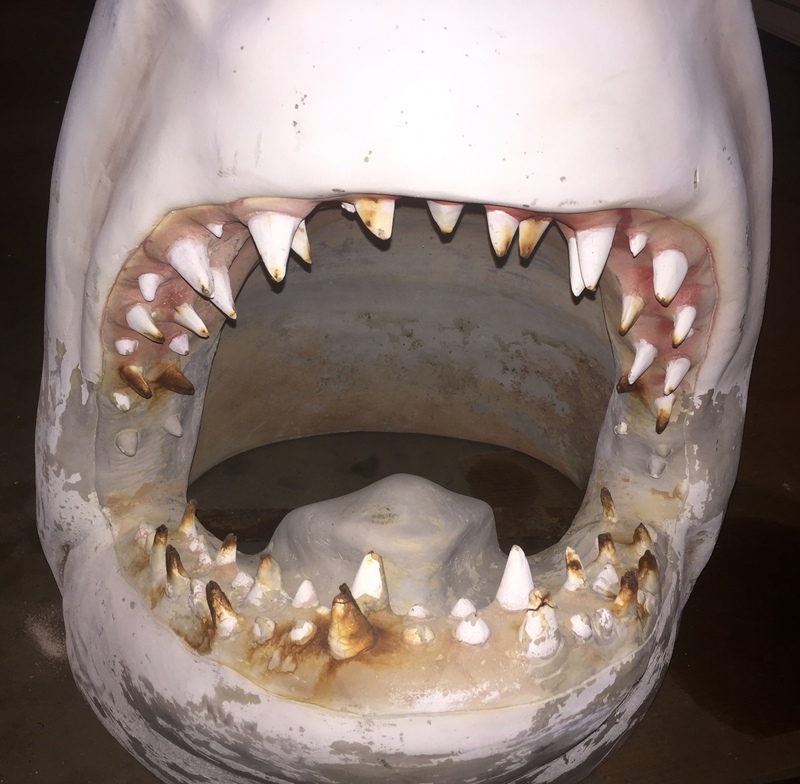 Posted in The Makin's Of Our Pad and tagged classic horror, fiberglass shark, jaws, shark head restoration, tiki decor, tiki room decor, vintage horror, vintage shark, vintage shark head. Bookmark the permalink. Amazing! 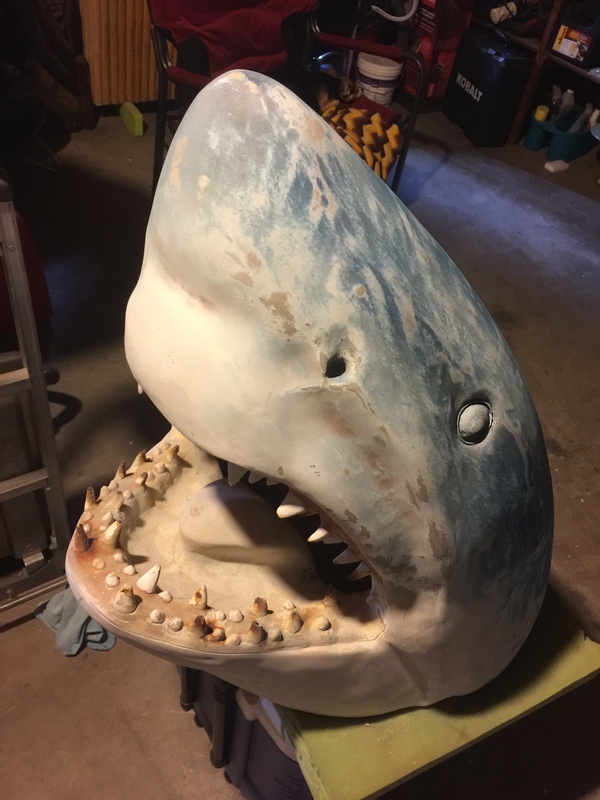 It’s not like you restore shark heads all the time, but you tackled this project as you do all of them, like the pros you are.